One of the more interesting divergences of the Southern Myth – is the Myth of the Black Confederate Soldier. This one has popped up reliably since in was invented back around 1900, when southern writers tried to whitewash the brutality and savagery of the slave states, and deny that the war was really about slavery.At that time many of the soldiers who had fought in th Civil War were still alive,. 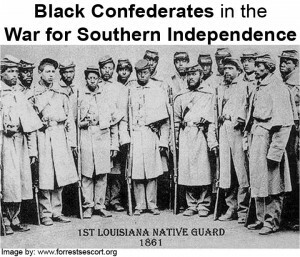 The SCV campaigned for pensions for a few black men, All told, perhaps a half dozen black me were awarded pensions for serving in the Confederate Army, bolstering the claim at little expense. No record exists that any of these men ever carried a rifle. Like anything to do with white supremacy, advocates have been able to dredge the sewers of black life and come up with black advocates – mot notably in this case Uncle Walter Williams.A few others discussed below wave the flag, and even dres up in confederate uniforms, espousing conservative causes. Lost Cause fanatics—including a handful of African Americans—insist that thousands of blacks fought for the Confederacy. Nothing in the historical record supports that claim. 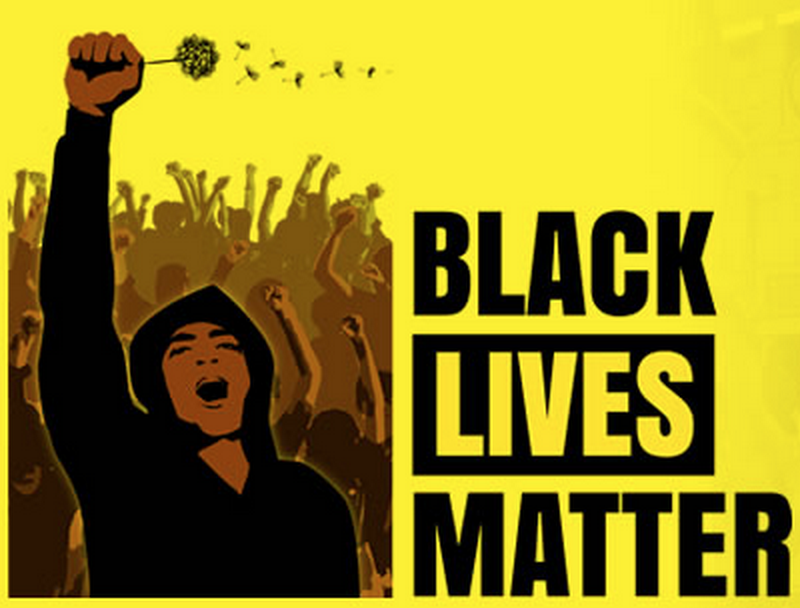 On Sunday July 19, 2015 Anthony Hervey was killed while driving home on Mississippi’s Highway 6 after attending a rally in Birmingham, Alabama to protest the city council’s decision to remove a Confederate monument in Linn Park. A fellow passenger who survived the crash claimed that she and Hervey were being pursued by another vehicle containing four or five black men. The accident is under investigation, but given recent decisions at the state and local level to remove Confederate flags and monuments and the resulting conflicts witnessed recently, the reported cause of the crash may not come as a surprise. What may surprise readers is that Anthony Hervey was African-American. Hervey was one of a very small but vocal group of African-American men and women who identify closely with a narrative of the Civil War that celebrates the Confederacy. These so-called “Black Confederates” have been embraced by heritage organizations such as the Sons of Confederate Veterans (SCV) and United Daughters of the Confederacy (UDC). In the wake of the South Carolina shootings, they have been front and center in a campaign that dates back to the late ’70s to convince the general public that thousands of free and enslaved blacks fought as soldiers in the Confederate army. A resident of Oxford, Mississippi, Hervey was no stranger to the often contentious debates surrounding the display of the Confederate flag and other iconography. 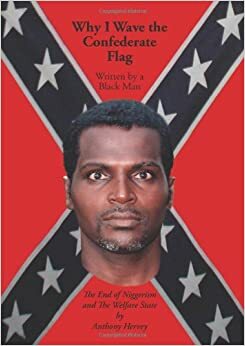 In 2000 he led protests to keep the Confederate flag flying atop the statehouse in Columbia, South Carolina and closer to home, challenged the University of Mississippi’s attempt to replace its mascot, “Colonel Reb” and ban the singing of “Dixie” during football games. It should be no surprise that Hervey’s outspokenness in support of the Confederacy and his conservative politics endeared him to crowds at pro-Confederate heritage rallies. Others like honorary SCV member H.K. Edgerton of North Carolina—arguably the most visible pro-Confederate African-American—also appeared at rallies throughout the South following the shootings. A one-time president of Asheville’s chapter of the NAACP, in 2002-03 Edgerton walked 1,600 miles with the flag and in full Confederate uniform from North Carolina to Texas in opposition to government policies that divide the races and in support of Confederate heritage. In Virginia, Karen Cooper has maintained a close relationship with the Virginia Flaggers, which organized in 2011 to protest the removal of the Confederate flag at the “Old Soldiers’ Home” in Richmond on the grounds of the Virginia Museum of Fine Arts. Originally from New York and a former member of the Nation of Islam, Cooper identifies closely with her new home and with Confederate heritage. She was introduced to the Virginia Flaggers through her involvement in the tea party and quickly found a home for her views on limited government and her strong stand against a welfare state that she believes has seriously harmed the black community. All three believe that racial unrest in the modern South and the recent divide over Confederate flags and monuments is the result of failed government policies and a false view of the history of the Confederacy. In their view, it was the Confederacy’s embrace of states rights and its own steps toward the recruitment of thousands of black Confederate soldiers that offered the promise of racial unity and equality. The willingness of all three to don Confederate uniforms and/or wave the flag offers a powerful visual reminder for those who continue to embrace a Lost Cause narrative of the Civil War—a narrative that rejects the preservation of slavery as the central goal of the Confederate experiment in independence in favor of a scenario wherein loyal black soldiers stood by their masters on the battlefield. The Lousiana Native Guard, a group of local free black and Native American Men who Organized a Brigade to defend their home, New Orleans from invasion by the North. The confederate Generals denied them the opportunity to defend their city, resulting in the entire Brigade, consisting of two regiments defecting to the NOrth to become the US Colored Troops. The distinguished themselves fighting in the west, and would form the core of what would become The Buffalo Soldiers. A bit more about Hervey here.